A 25-year-old Arizona man who was driving a San Diego-area woman's car is accused of fatally stabbing her after the vehicle veered off a freeway and crashed Friday morning. 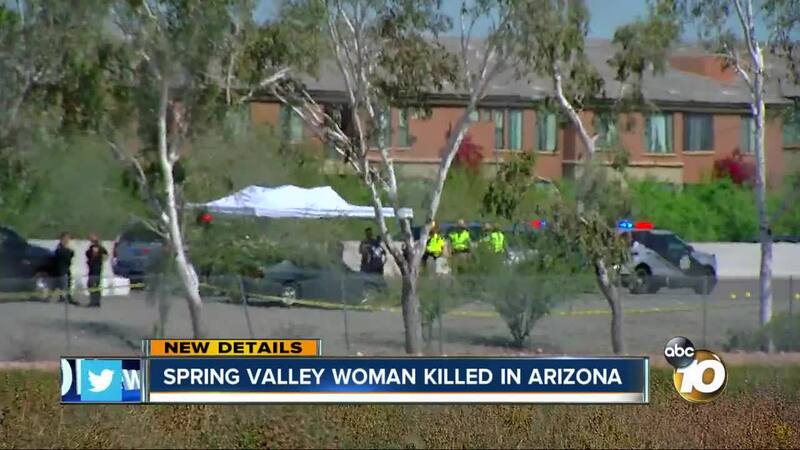 PEORIA —UPDATE: 10News spoke with Martha Thy's landlord who said she was a loving aunt, sister and daughter. He said he's known the family for 10 years and they are hard workers. He said they were planning on moving to Arizona to be closer to her sister who recently bought a house there. Thy will be brought back to California to be laid to rest. The landlord said he had met Fernando Acosta before, saying he was her boyfriend, and he was a normal guy. He said Acosta had spent some time in jail, but that has not been confirmed by authorities. 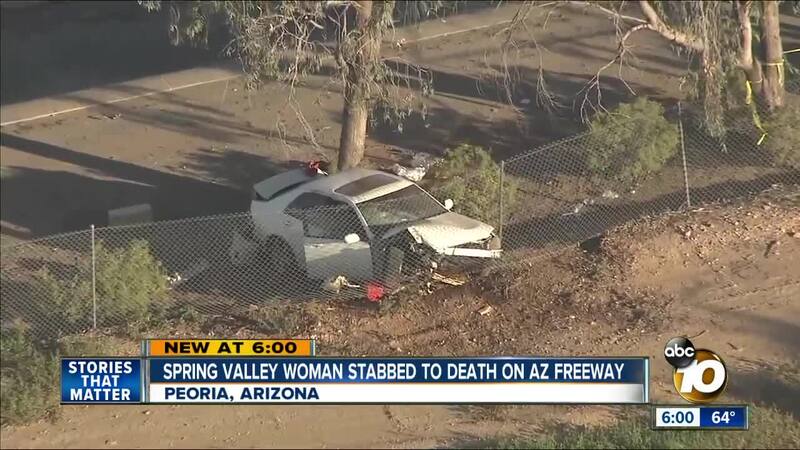 Fernando Acosta of Phoenix got out of the car and accosted a witness with a knife before repeatedly stabbing Martha Thy of Spring Valley, California, along the Loop 101 freeway in Peoria, according to an Arizona Department of Public Safety probable-cause statement released Saturday. Thy was stabbed while she was still inside the white Lexus sedan and then while on her knees on the ground outside it after she crawled out and closed a door behind her. Acosta initially was in the driver's seat when he began stabbing Thy, who was seated in the passenger seat, the statement said. He then got out of the driver's side of the vehicle, going around to the passenger's side and resuming stabbing Thy before returning to the driver's side when she attempted to get away, the statement said. Thy died at a hospital. The statement said she was stabbed or cut at least 20 times. Several bystanders got out of their vehicles and tried to stop Acosta from attacking the woman. Gustavo Muñoz was one of those bystanders. When he saw the crash, he immediately pulled over and jumped out of his car to help. “I ran towards the vehicle, and when I got to the other side of the ditch the man comes out with a knife. Hands full of blood. [His] face, body was filled with blood,” said Muñoz. Muñoz says he yelled for other drivers who stopped to help. Muñoz told ABC15 that eventually one man ran and tackled the suspect and knocked the knife from his hands. Muñoz and others piled on and held the man down until law enforcement arrived. "People everywhere, some screaming, yelling going on, so you can only imagine what an officer's feeling when he arrives on scene and all he sees are people running around," Trooper Kameron Lee said. Acosta remained jailed Saturday on suspicion of premeditated first-degree murder and aggravated assault. The statement did not mention a possible motive. No additional information was available, the Department of Public Safety said Saturday. Loop 101 Agua Fria northbound was closed from Peoria to Thunderbird roads for several hours due to the police investigation. The roadway was reopened around 4 p.m.